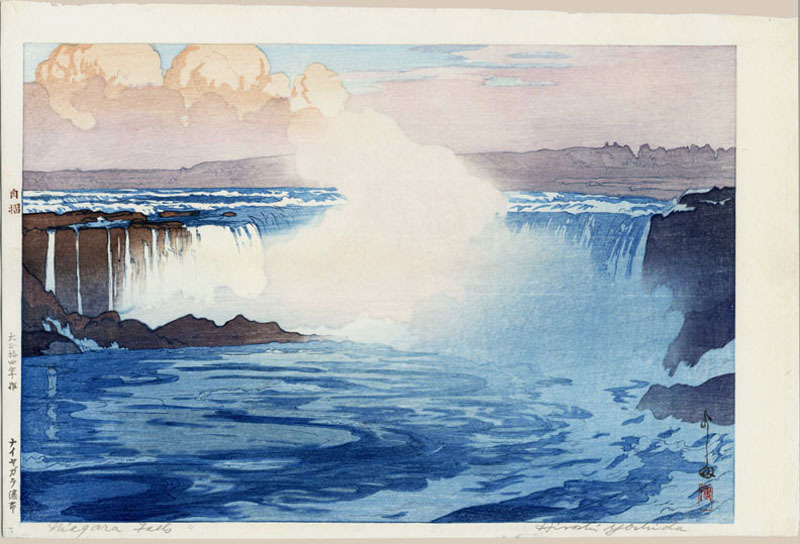 Yoshida, Hiroshi (1876 - 1950), "Niagara Falls"
Notes: A superb mint example, displaying stronger overall colors then the example shown in the Abe catalog. Brush signed and sealed by the artist. Juzuri seal in the upper right margin. "One of six prints from the United States series, Hiroshi also executed a Europe series, which consisted of eleven images. Both sets of prints were the first he undertook in his new printmaking studio, which he set up in the fall of 1925." - A Japanese Legacy, The Minneapolis Institute of Arts; pg. 45.